I feel blessed to be a part of such an incredible profession. Orthodontics allows me to work with people who value oral health and beauty. It is extremely satisfying to see the transformation in my patient’s health, appearance and confidence. My profession affords me the opportunity to work with patients of all ages and in many different stages in life. It is fun and exciting to see them grow and change. It is gratifying to see how enjoyable the experience can be for my patients and team. I love my job! Dr. Parks received his DMD at the prestigious University of Pennsylvania School of Dental Medicine after completing his undergraduate studies at Bucknell University. 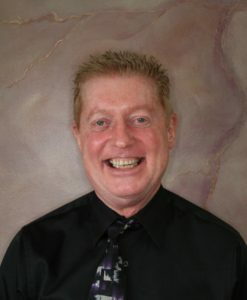 He earned his Master’s of Science in Dentistry with a certificate in the specialty of orthodontics in his home state at the University of Washington School of Dentistry. He has been inducted as a Fellow in the American College of Dentists for meritorious contributions to dentistry and society. Dr. Parks keeps abreast of the newest advances and technology in the field through extensive continuing education. The orthodontic profession is always evolving with new treatment options for patients and he is excited to be involved in these advancements through continuing education. Dr. Parks serves as an editor for the periodical Angle Orthodontics He is also an active member of national and local orthodontic and dental societies, keeping him involved with other practitioners in his field. He is committed to providing patients with the best treatment options available. Dr. Parks is a Wenatchee native and has been serving his community in various capacities for many organizations. Currently he serves on the Board of Directors for Confluence Health and is a long term Rotary member. His contributions to the Apple Blossom Festival have included the position of Director General and he also volunteers for United Way and Salvation Army. He and his family are members of First United Methodist Church. Dr. Parks and his family enjoy travelling, boating, sports and spending time with family and friends. Schedule your complimentary evaluation now.